See Upcoming Meetings for directions. A Rainy but Fun-Filled Field Day. On June 23, 2018 your radio club participated in an enjoyable Field Day exercise at the McAuliffe Library in Framingham. This new location has plenty of trees for wire antennas, and a fine time was had by all in spite of the rain. We operated battery-powered 100 watt and QRP stations, and about 14 hams stopped by to either visit or to operate. The ARRL Section Manager and the assistant Section Manager for Eastern MA also stopped by. Our “Learn to Spell Your Name in Morse Code” sign attracted lots of kids, and they had fun and learned something new. Signing “W1FY, 2A-EMA,” we worked a number of stations in the US and Canada. 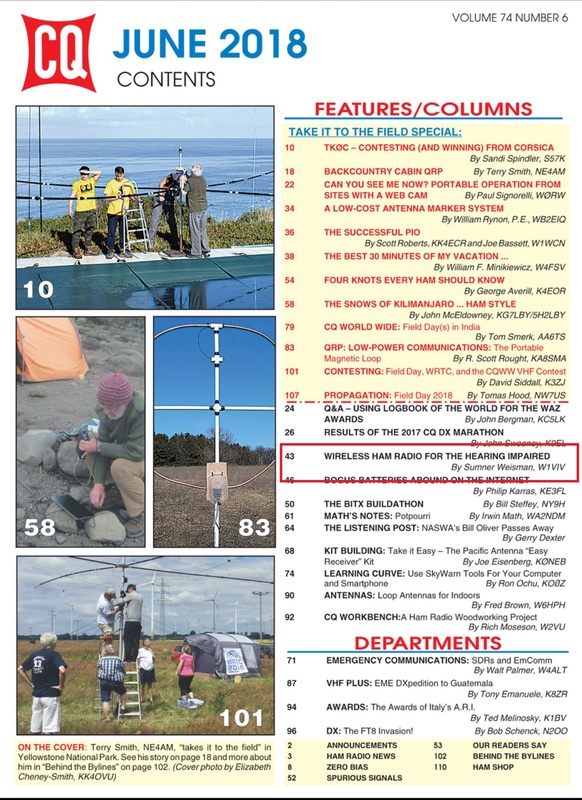 Glenn Axelrod, KC1HPZ, informs us that a story about the June Field Day event was part of Access Framingham’s “Framingham Beat” news magazine show at 7:30 PM on August 2. Sumner, W1VIV, is featured prominently because his explanation of Field Day became the narration for the video that Glenn shot and AFTV’s staff edited. Gail Bello, daughter of Gordy Bello, K1GB, is the 2018 recipient of the Beverly Lees Scholarship. The FARA Sunday Night Net begins every Sunday at 7:30PM on the FARA 147.150 MHz (no PL) repeater. All licensed hams are welcome to check in and participate in the “Ham question of the Week”. Echolink is now supported on the W1FY repeater. The node is registered as W1FY-R.